Thanks to reader and friend of the site Bobby C from down under, I have a pair of very interesting PDFs on the 6 pounder mount on the RAM. The massive image of a storage diagram below is from that very doc! The Lee was a bit of a red-headed stepchild, except it had a soul, and no one really wanted it. 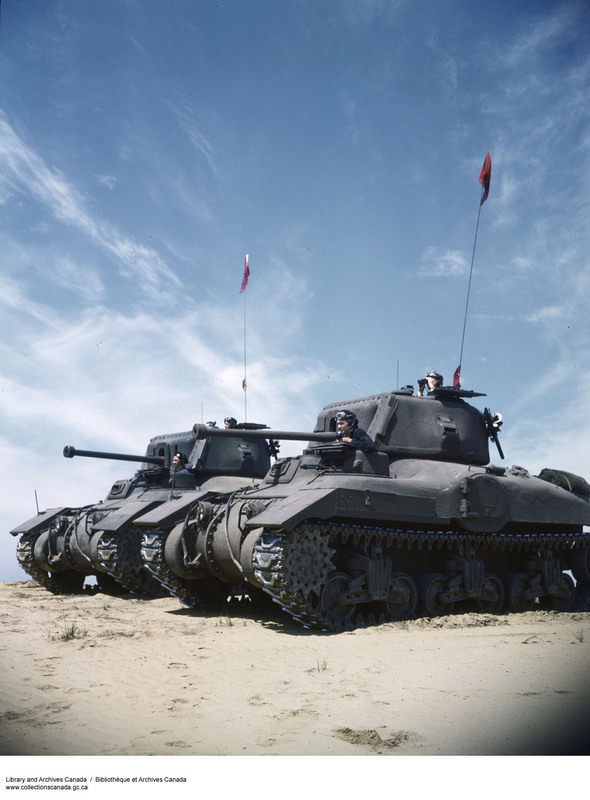 Even before production started, both the US Army and British, working with Canadians, was working on a replacement design. 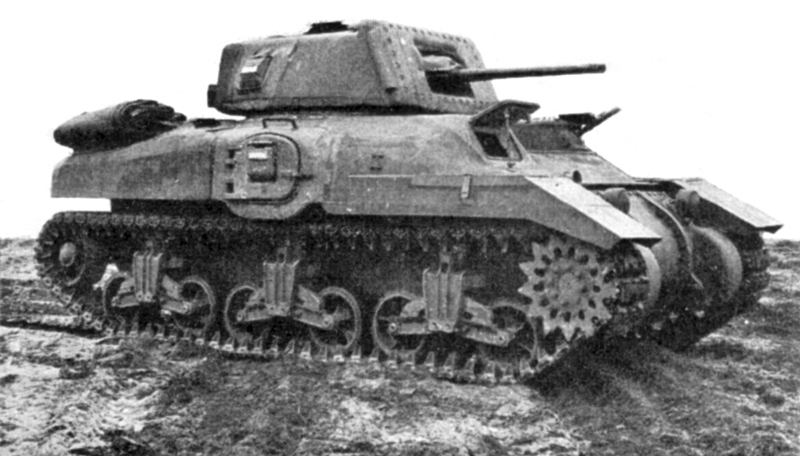 The British did not like the dual purpose M3 75mm gun on a cruiser tank, they wanted a tank with their 57mm six-pounder gun, because it had slightly superior AP performance, and their cruiser tanks were assigned the task of fighting other tanks, not infantry. The American Tank designers and Army Officers didn’t agree and planned on using the M3 75mm gun and their stubbornness led the Brits to try and beat them to the punch, and they did, but the punch wasn’t there, literally. 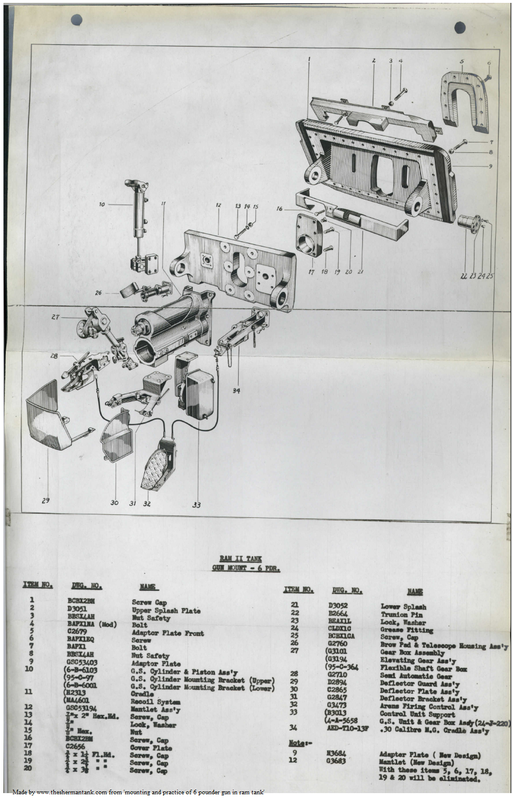 This massive diagram comes from ‘Mounting practice and installation of 6 pounder gun in ram tank. 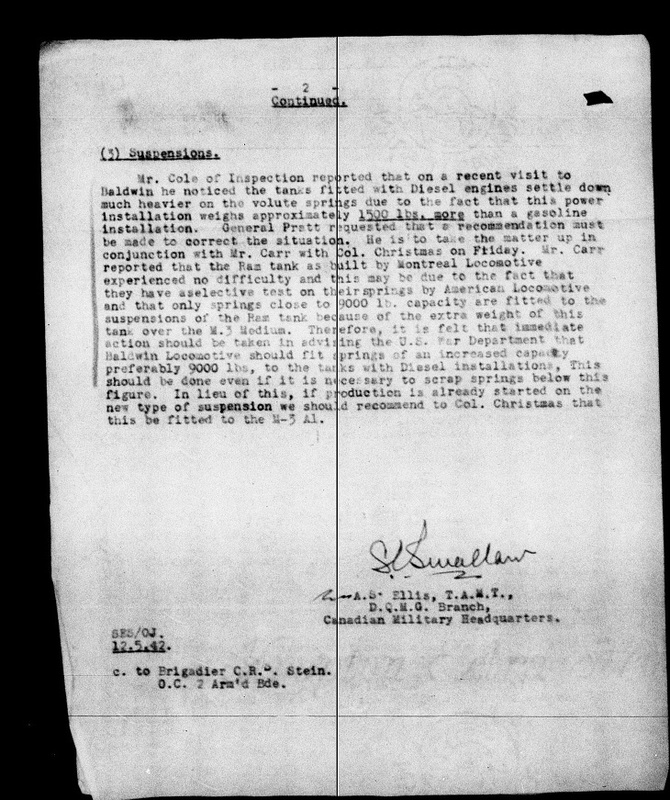 This doc came to us from Bobby C, click to view the full version or save it and look at it in an image viewer. The model they sent to Aberdeen Proving Grounds for the US Army to test, was an MK I model with a 37mm gun. This was in June of 1941, while the Sherman pilot was probably being built, and the pilot Sherman arrived in early September. They did this because they had some problems with a suitable mount for the 57mm 6 pounder. 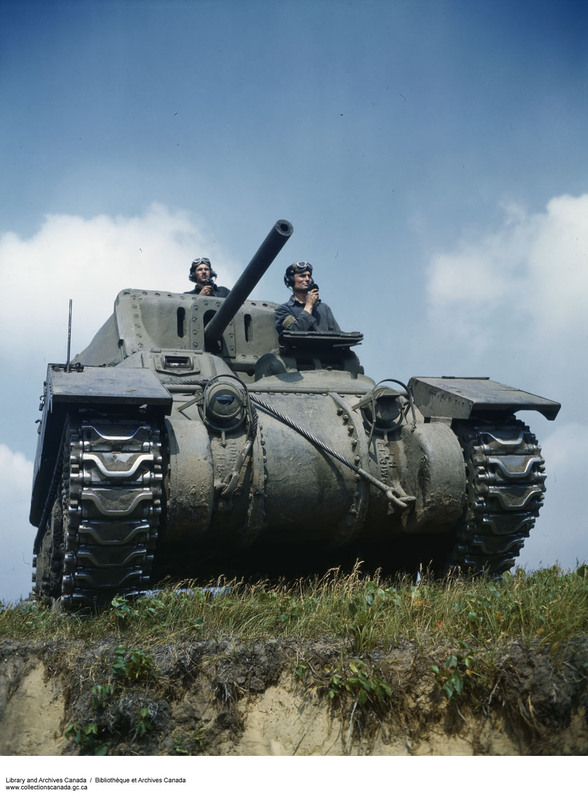 They probably sent one with a 6 pounder later, but I’m sure once the US Army had the Sherman pilot, most of the interest in the Ram would have died off since there was zero chance of the RAM II winning out over the Sherman. They did produce nearly 2000 of them though, and the chassis was used in other roles, most notably as an APC and Command Tank. It is interesting it saw no combat use as a tank, it was certainly better than the Lee, at least on paper, but the Lee soldiered on in secondary theaters, the Ram was never given a shot. Like the Lee, it went through some fairly major changes during its production run. The Ram started life with a little machine gun turret on the front, where the driver should be, just like the Lee’s commanders cupola. This would be a feature it shed; getting a more traditional bow-mounted machine gun, late in the run. It was still on the wrong side though. It had side doors, with a little DV port, armored flap, like the Lee. The viewport was replaced with a ventilator, and then the whole door was removed. They also removed the periscopic sight for the gunner and replaced that with a ventilator as well. This is a later production RAM II, note the ventilator on the crew side door, but it still has the mini turret. 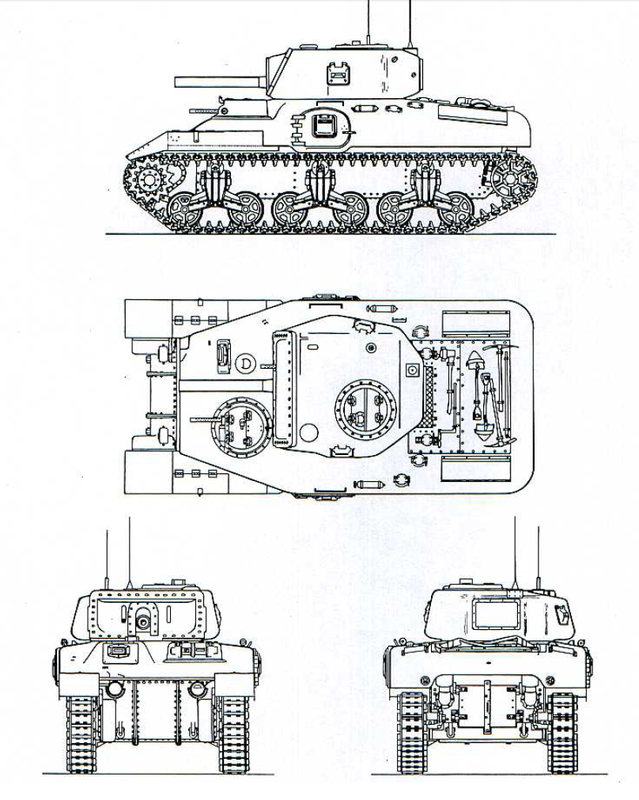 Since the RAM was based on the Lee, it was pretty much Lee from the top of the treads down and used the same R975 radial the basic M3, and M4 and M4A1 tanks used. 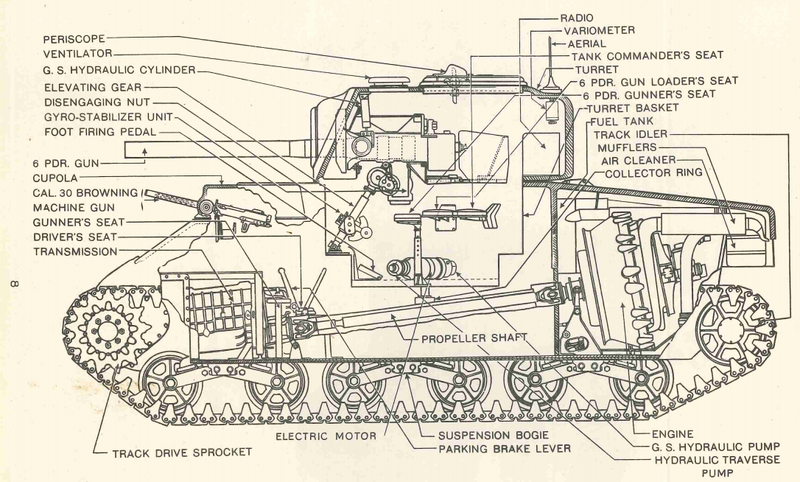 It used the same suspension as the early Shermans and Lees, with the single overhead roller and could use the same VVSS tracks as the Sherman. 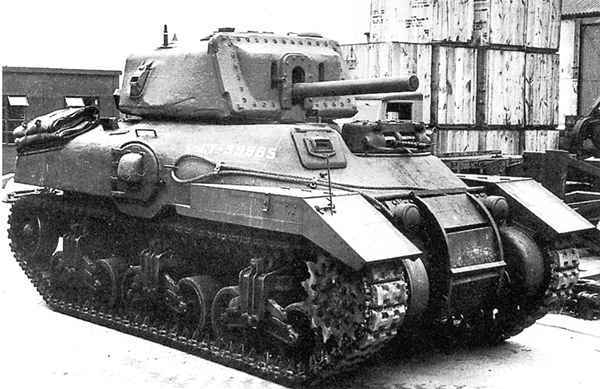 It was certainly better or equal to any tank the Brits had with the same gun, but by the time it was available in numbers, the Sherman was as well, and it was a superior tank, and because of its larger turret ring, had room to grow because it could take bigger guns. A late production RAM II at the Museum at Canadian Forces Base Borden. This is a massive photo, click for the full size. 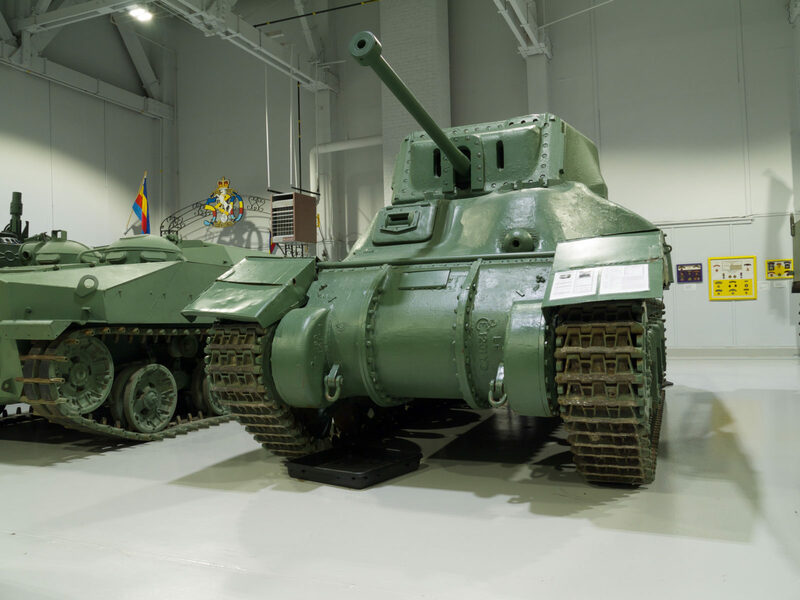 It wasn’t all a waste of time, and steel, the hulls were used for Kangaroo APCs, and a number were built or converted to command or observation post tanks, and they were used as ammo carriers. The Ram also made a good training tank allowing Shermans to be sent to combat units. The observation or command version was interesting. They removed the main gun, and put a dummy in its place, put in extra seats, so six men could fit, added an observation port, map table and extra radios. 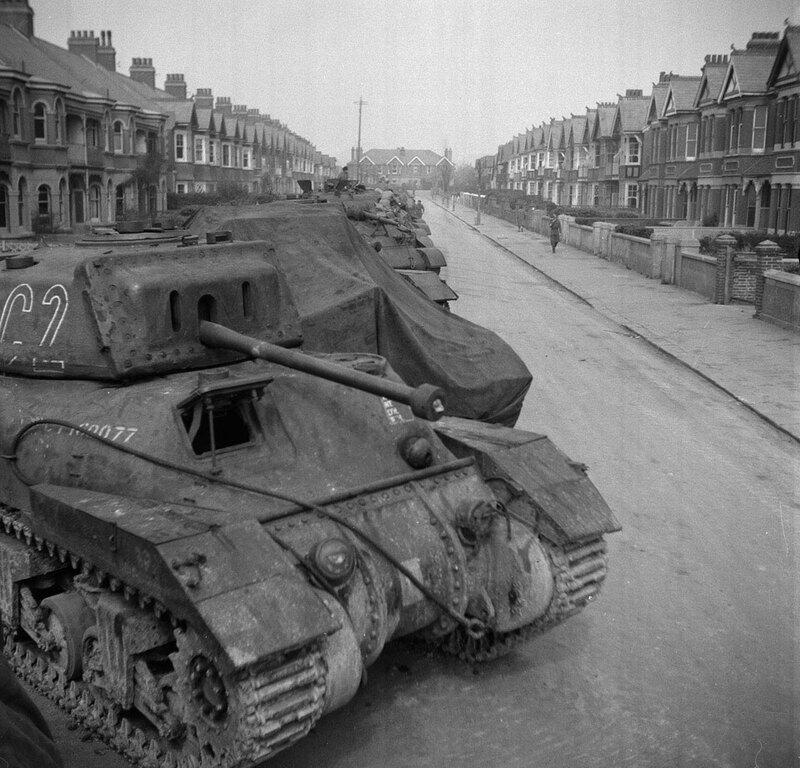 The APC and Command versions saw extensive use by Canadian troops in the ETO. Early RAM II being used in training. 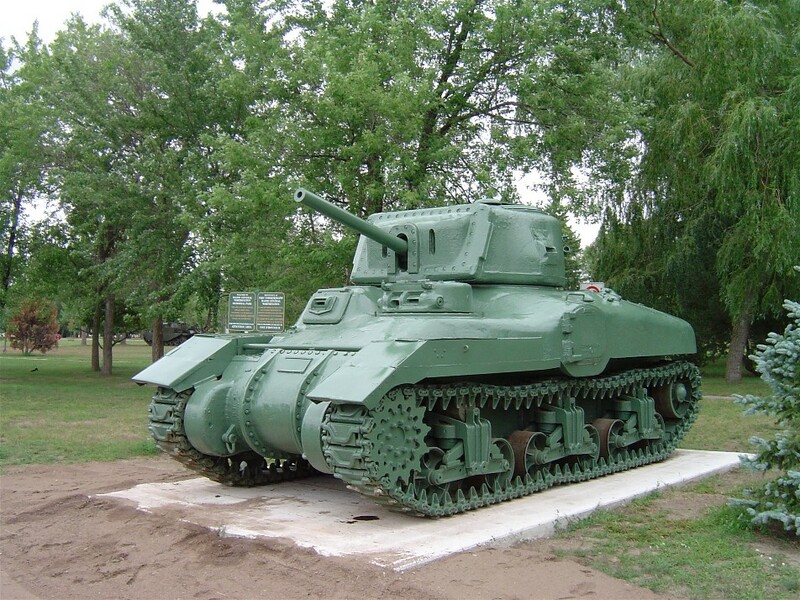 There is a fantastic web page on the subject, it called, RAMTank.CA A Registry of Canada’s Tank. This website has a more detailed history, a complete serial number list, and tons of pictures; it’s really worth checking out. I’ll be adding it to the links section as well. 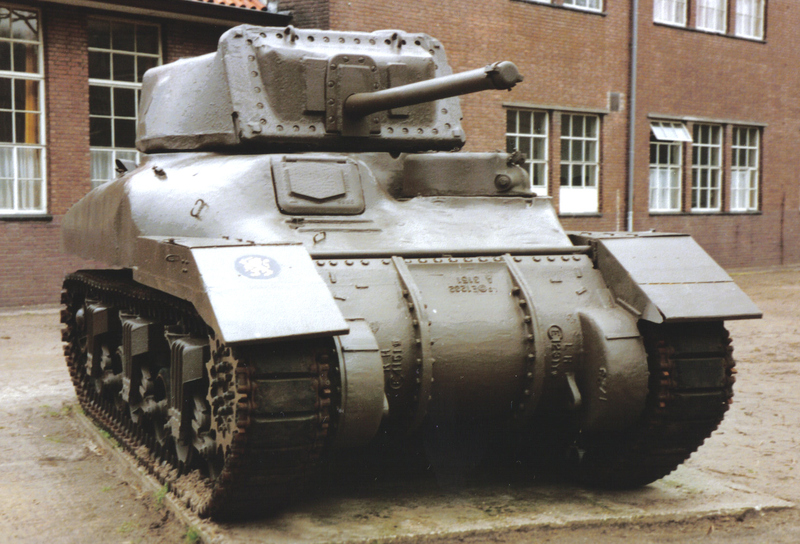 It also has a little bit of Sherman history too, since it covers the M4A1 Grizzly, the tank that replaced the Ram on the production line when the RAM was canceled, and the Sherman Skink AA vehicle, and Sexton. It also has an M4A2E8, Churchill, and Centurion registries. Having just discovered the website, doing research for this post, I’ll be spending a few hours at least checking it out. a very nice color shot of mid production RAM IIs being used in training. There are some glaring errors on the comments. 1) The gun was the 40mm 2pdr gun in the Mk 1, Ram. the reason being that the 57mm 6pdr was in short supply on this side of the pound. 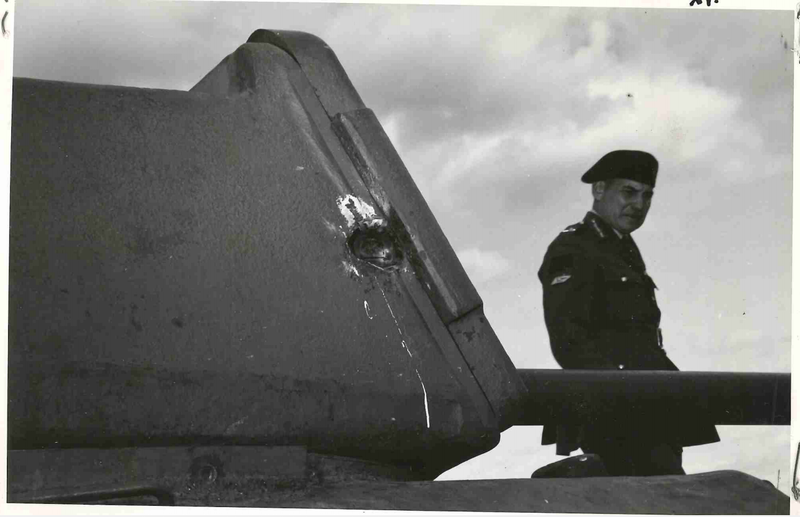 2) The armour was indeed up to 89mm thick on the Mk 2 model on portions of the hull front. 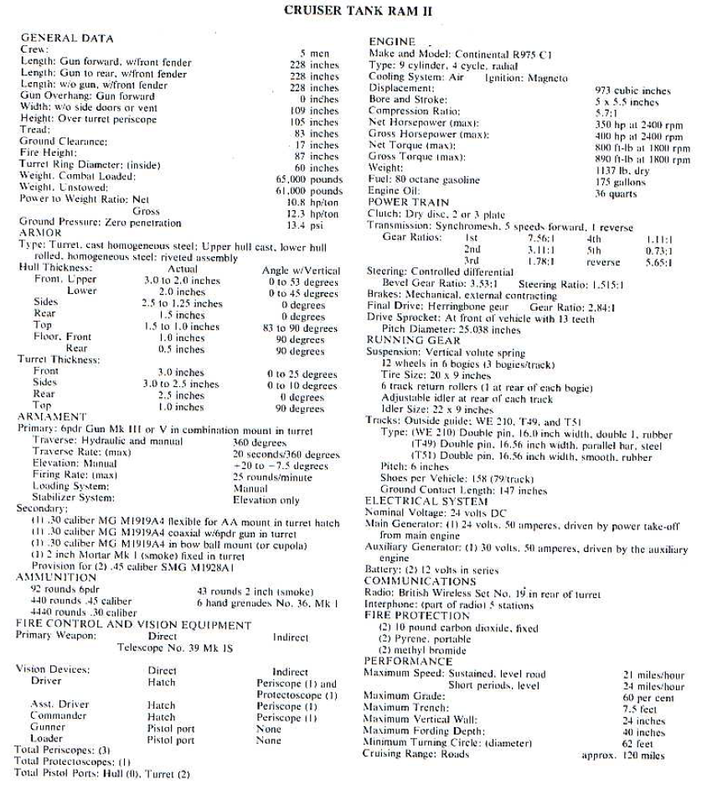 4) the 57mm – 6pdr had far superior armour busting stats than the original 75mm on the Sherman… it did have inferior high explosive content and this initially was consider of greater importance by the US army. 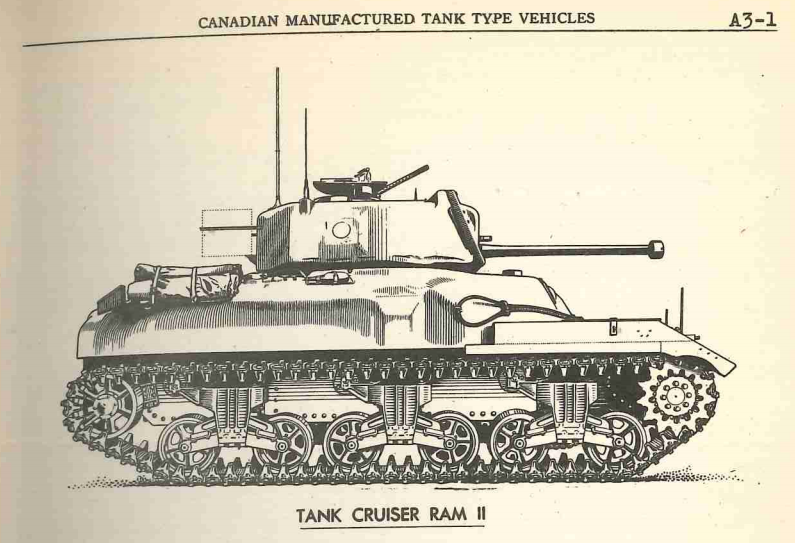 5) The main reason the RAM was not used in combat was the simple fact that Canadian industry could not ramp up production fast enough… unlike the USA at the time Canada did not have extensive heavy industry… added to this was the decision of the Allies to concentrate on one main type of battle tank from North America and with the Sherman being made in more than five or six massive plants the RAM became redundant. 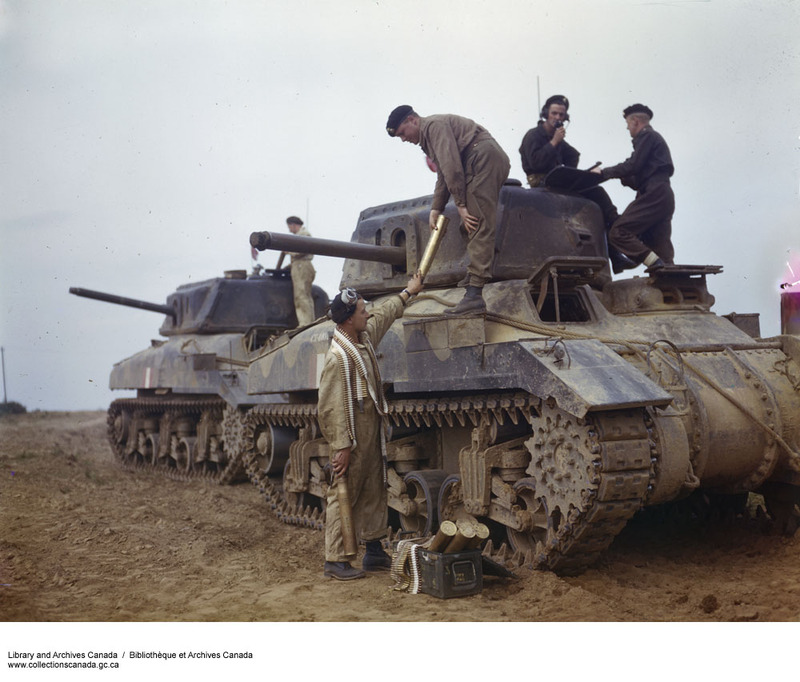 6) The question should be with the USA being 10 times larger than Canada and having a vastly more developed Industrial base in 1940…why was the RAM ready at least three months before the Sherman, and with similar performance. 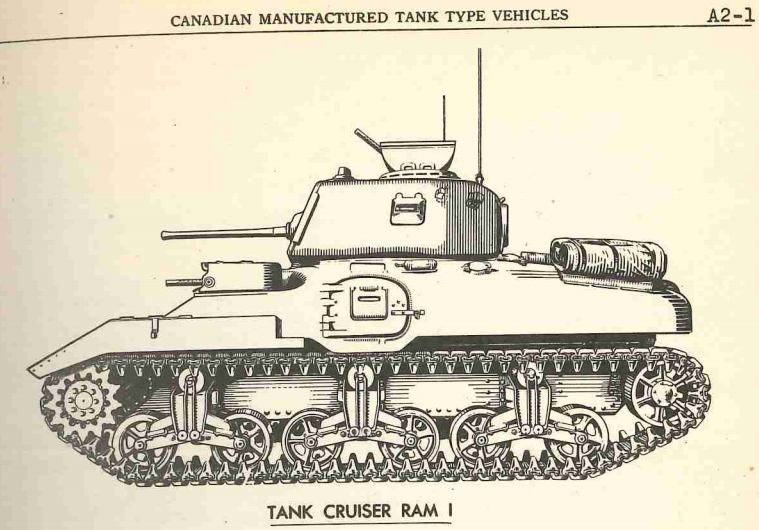 7) in all probability if the RAM had been made with a 69 inch turret Ring and had Canada been able to ramp up production faster the RAM would have certainly been used by the British Army in the desert war. This article seems to kind of take it for granted that the reader already knows what a Ram tank is and is just here to provide some interesting obscure details to connoisseurs. You should think of the people who are looking for general detail as well as the collectors. Even I had trouble following this: what punch? Why wasn’t it there? What is a Ram II and what does it have to do with 37 vs 57mm? sectional showing off locations of items. and a cleaned up version. Recently just had them add the other files they had hoping for more drawings unfortunately it’s mostly just a copy of the first. for some reason the cost was quite a bit higher for that for even less then what the first contained. 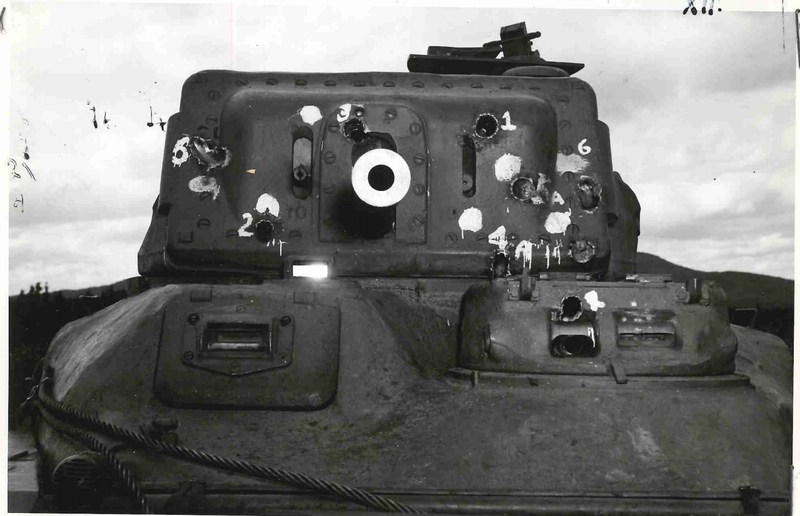 Some images from firing tails done in 1942 on one of the first 6 pdr tanks. Good to hear from you again, thank you for your efforts on acquiring the docs. 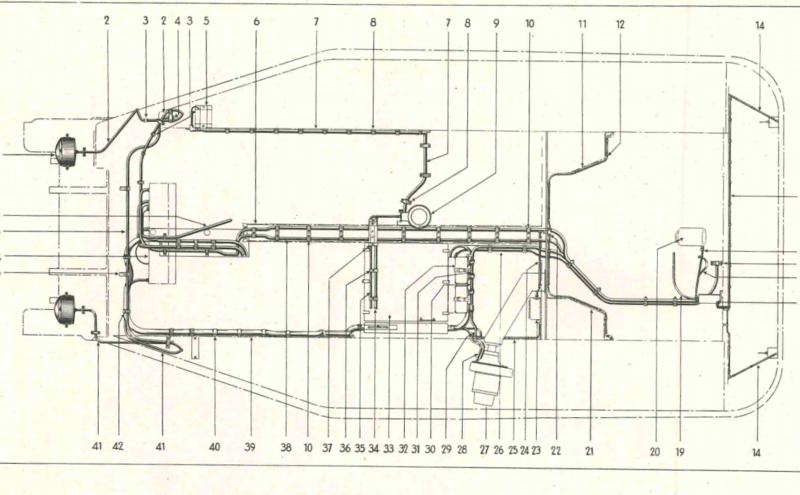 It must be frustrating to pay for a duplicate doc, but you have dug up some very interesting info, I love diagrams showing all the things they stuffed inside these tanks! 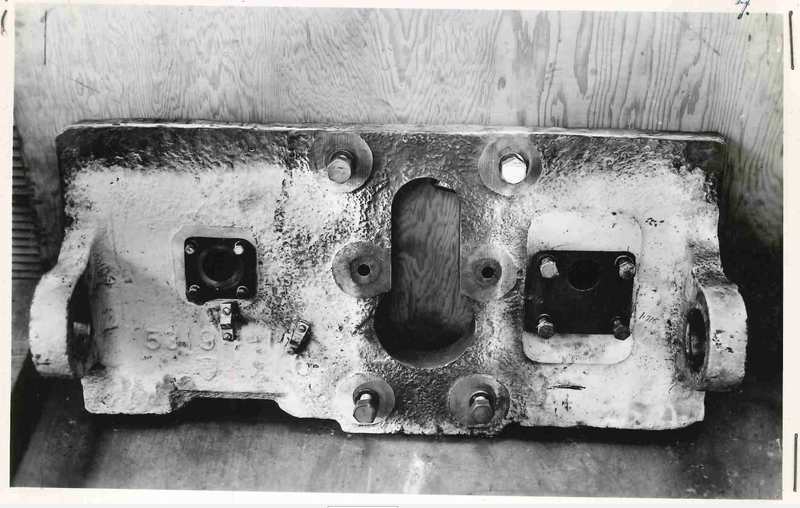 On this image, you not it indicates it could use a the one piece differential cover, and it seems to show it have the later heavy duty bogies as well, do you know if any Rams were produced with them? Lots of very interesting stuff in this post too! They switched to the heavy duty late sherman VVSS suspension yes. 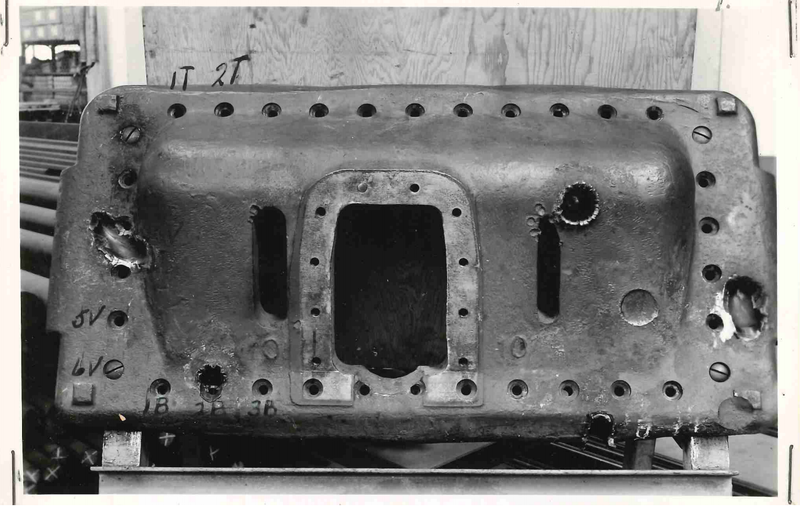 They may have been using the Canadian reinforced bogie assembly as well on later ones like the sexton and grizzlies had. But even before that they were using stronger springs before the US started to. Pound for pound the Ram offered better protection then the early M4’s. 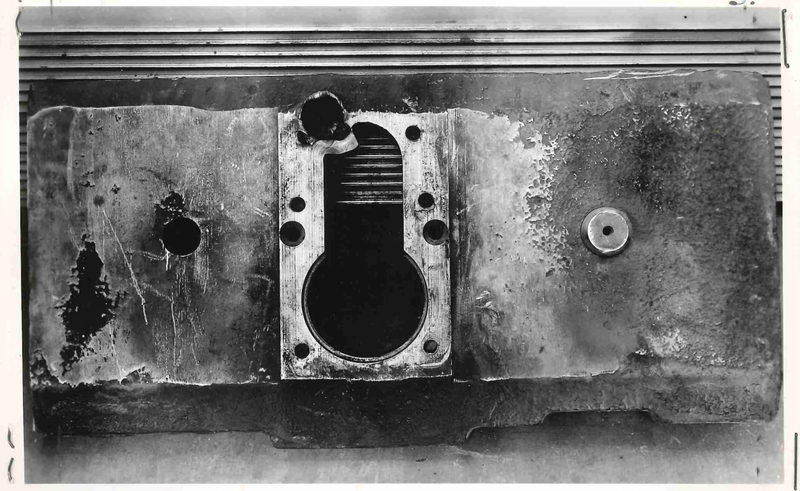 The turret was a complicated mess but the front plate was at least 76mm (Some sources state 85-89mm) then you have the inner mantlet that covered the inside and that was most likely following British practice which would have it about the same thickness. 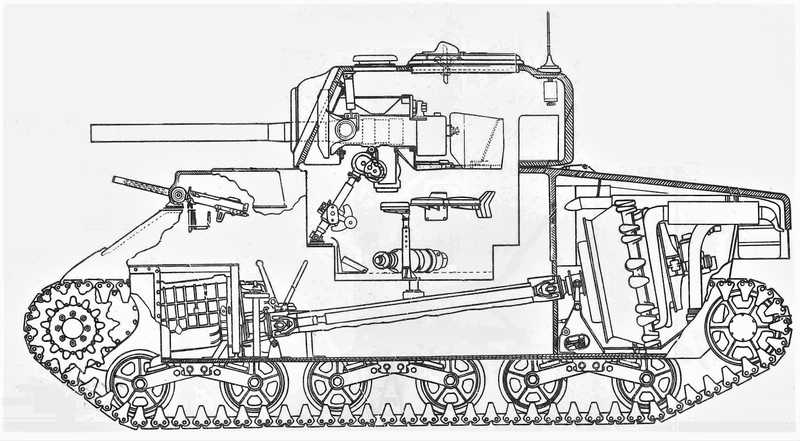 The Ram was designed with the 75mm in mind, but for whatever reason they never mounted the US version. 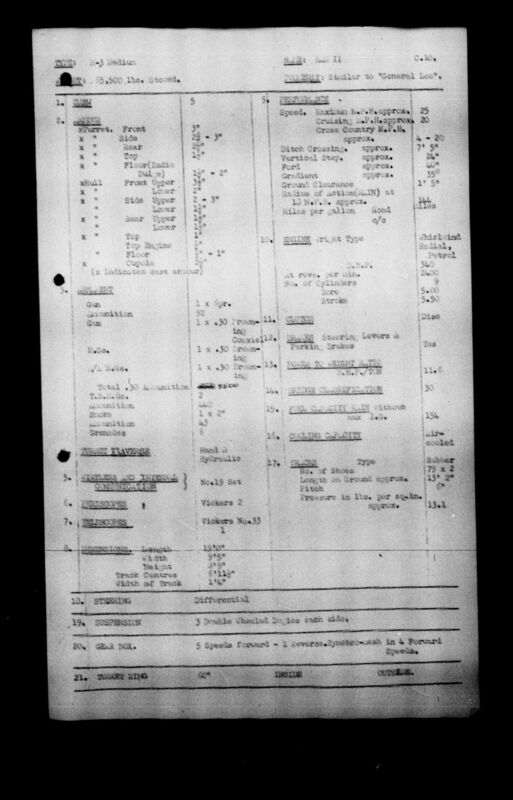 They did convert a number to the bored out 6 pdr/75mm in 1943. It is interesting they never used it, it certainly would have done as well or better than the Lee in Tank V Tank fighting. I know there’s a fair number as gate guards/monuments Ram tanks, is there a runner anywhere though? I know there a number of running Grizzly M4A1 tanks in private hands that run. A couple of Kangaroos I believe run, but a full Ram no I don’t think so. as for the exact type of Bogie wheel mounted I don’t know what the policy was but they mounted all types. 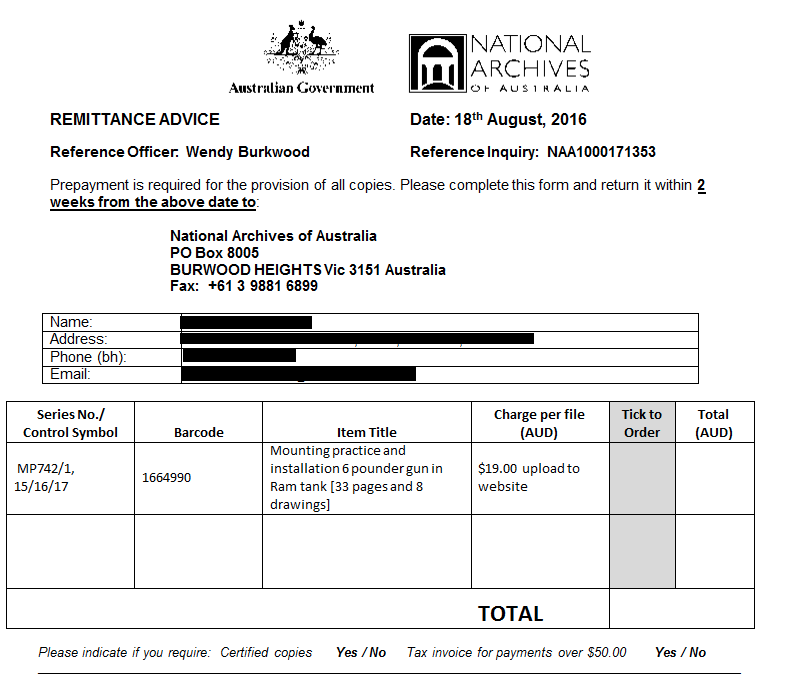 If you would a copy please let me know & I can send by email or leave in a file dropbox – which ever woud be convenient for you. That would be Awesome! I’ll shoot you an email.